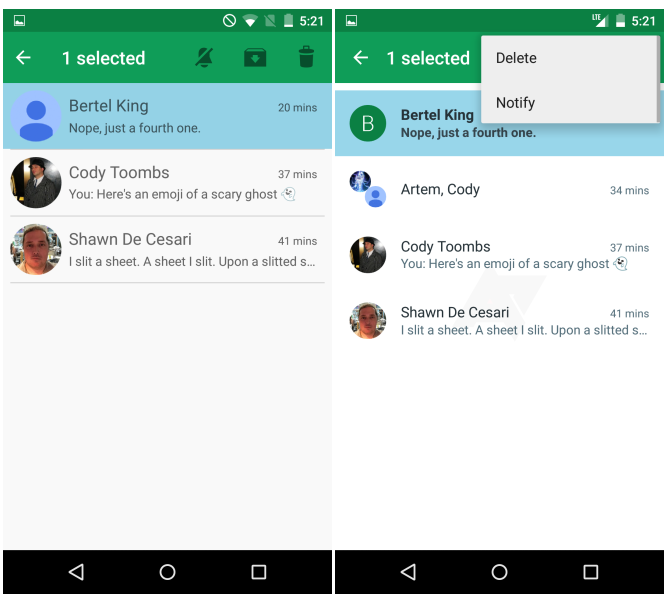 Google Hangouts is far from being one of the more appreciated Android apps from Google. 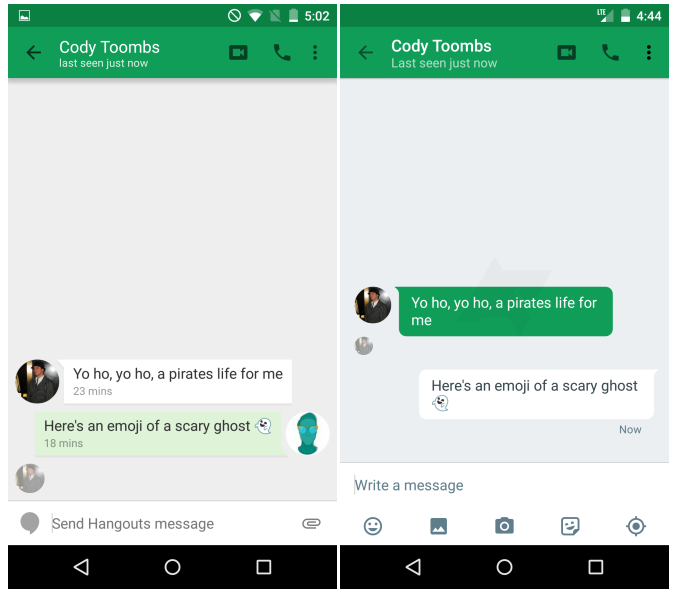 Despite this, however, it looks like the company plans to address (at least) some of the issues that users point out to in the upcoming Hangouts v4.0. 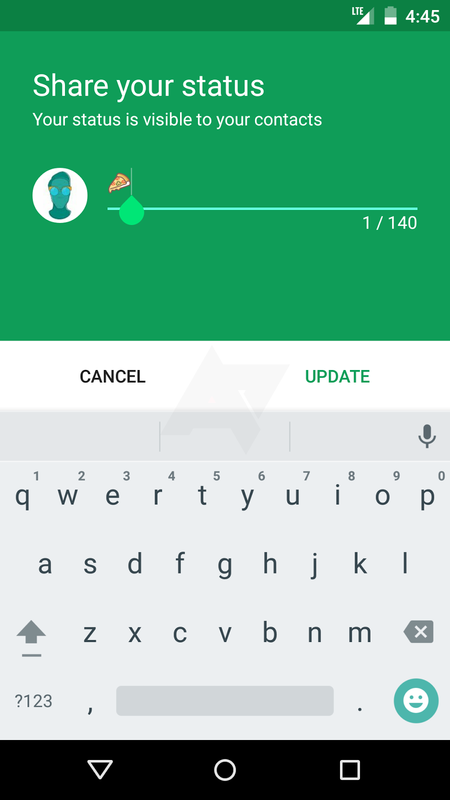 While the update has yet to be officially announced by Google, the fellows over at Android Police managed to get their hands on the pre-launch version, and the screenshots reveal that we're in for a significant revamp of the user interface. 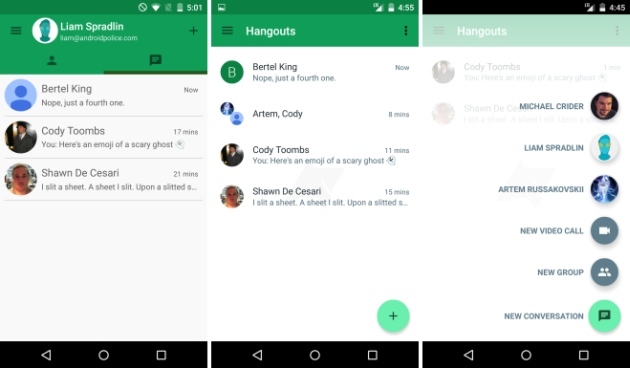 According to the leak, Google Hangouts 4.0 will replace the three-column layout with a single-column layout that's a bit smarter and makes better use of the space available. 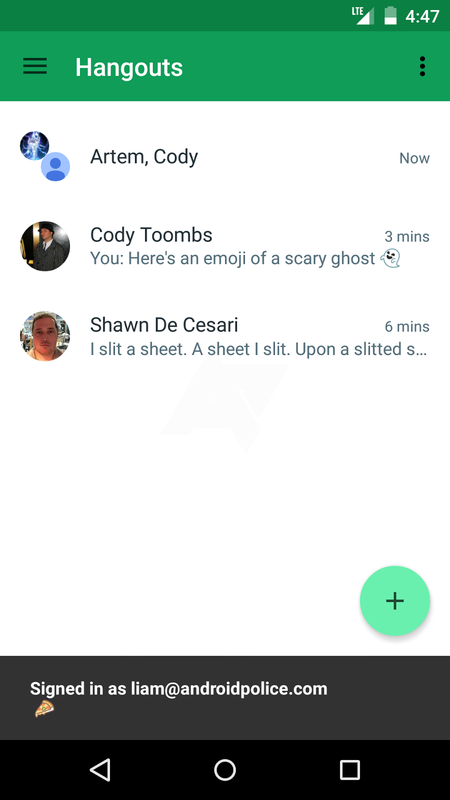 The home screen will basically show a list of the recent conversations, while a floating action button allows the user to engage in a conversation or video call with a contact or a group of contacts. 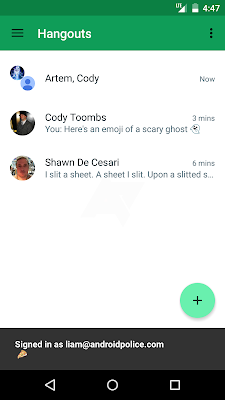 The conversation screen also comes with a few changes. 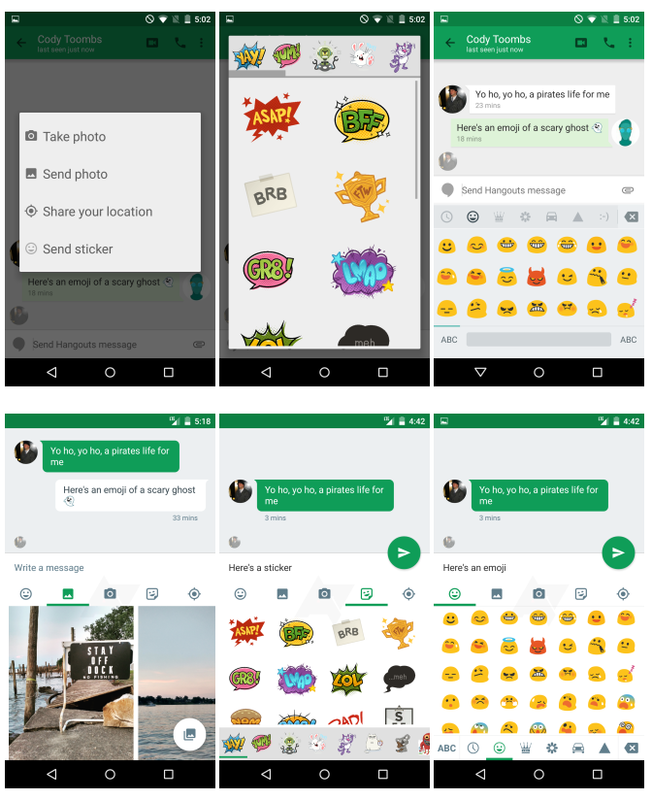 These range from subtle improvements such as text boxes with rounded corners or the removal of the user avatar from the conversation view, and on to more significant ones such as dedicated buttons to share emojis, pictures, stickers, or location info. 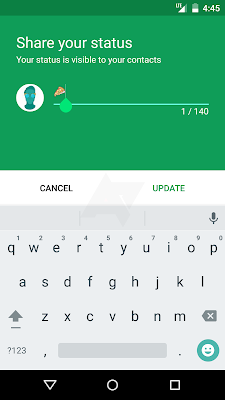 The 4.0 update to the Android app will also bring the ability to change the user status, a feature that the web version of Hangouts has had for quite a while now. And better way of telling about your notifications preferences.